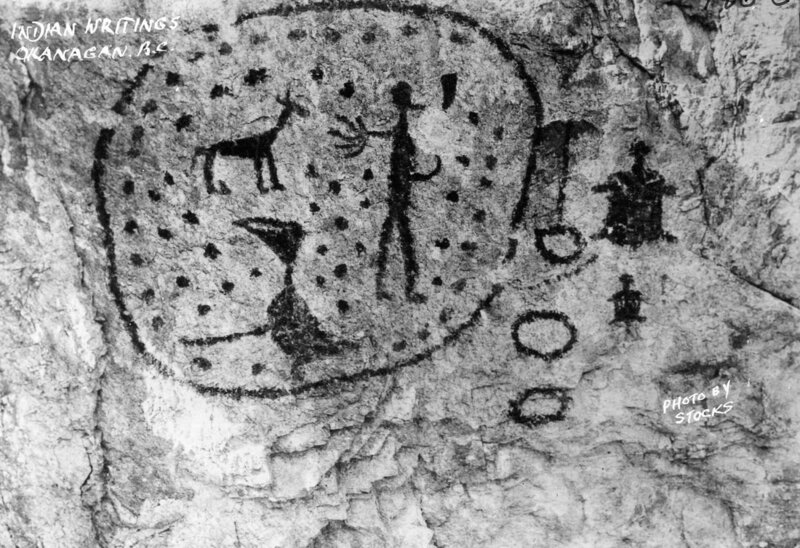 Other than pictographs, scant evidence remains at Naramata of the pre-contact culture and none of it rests at the museum. The indigenous population referred to the area as 'The Home of the Bald Eagle.' Fur-traders used the existing network of trails to move trade goods between the posts of the Hudson's Bay Company. Part of a wagon that was used on the Brigade Trails has its permanent home at the Naramata Museum. The land was then used in the late 1800s by beef baron, Tom Ellis, to graze portions of his vast herd which numbered in the tens of thousands. Cattle grazed around what was then called Nine Mile Creek until the land was sold to the Okanagan Trust Company headed by developer John Moore Robinson. 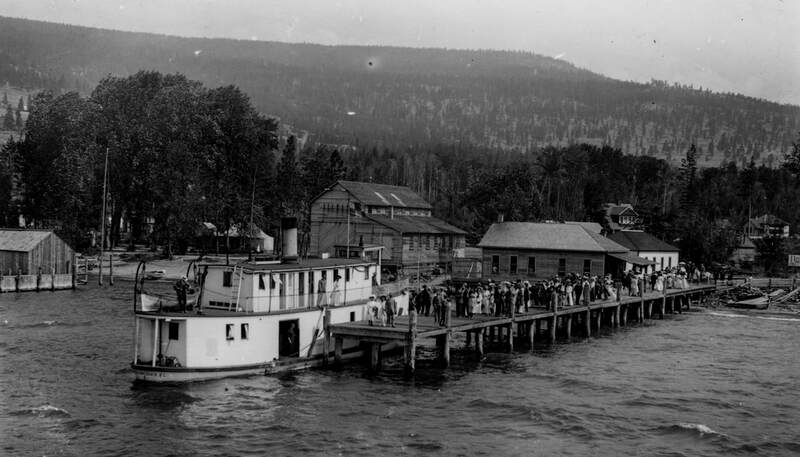 Mr Robinson had previously developed land for fruit growing at Peachland and then Summerland. When he turned his eye across the lake, he was convinced that the growing conditions were optimal and the land was underutilized as rangeland. 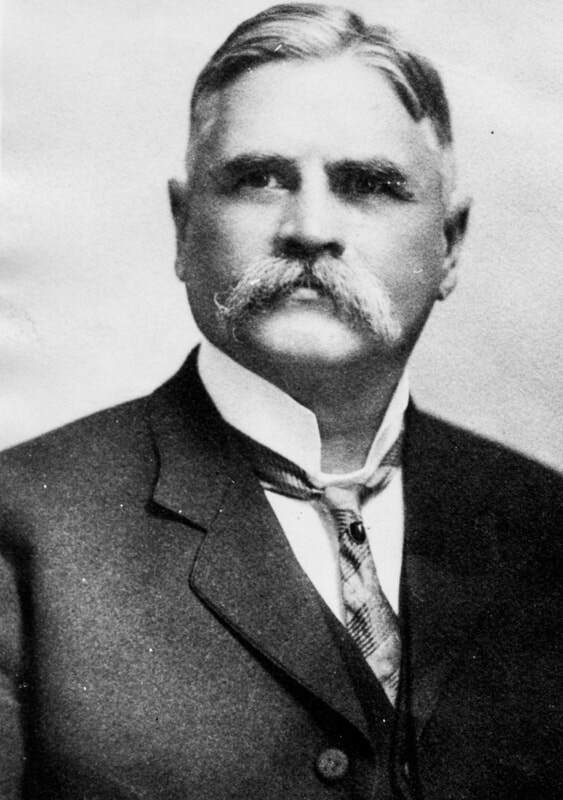 He persuaded Tom Ellis to sell a portion and in 1907, the Okanagan Trust Company began to attract farmers to the area. Probably best exemplified by the artistic Carroll Aikins, such 'gentlemen farmers' were lured to what was then called East Summerland to create a cultured community. 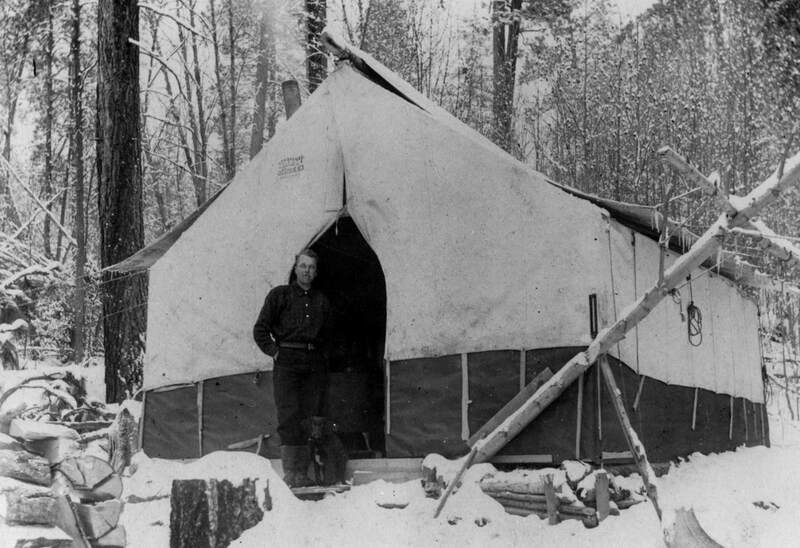 But farming is tough in any epoch and fruit-growers in Naramata had to overcome many obstacles along the way, not least of which was having to live in a tent house for the first years while the development work of the orchard was undertaken. 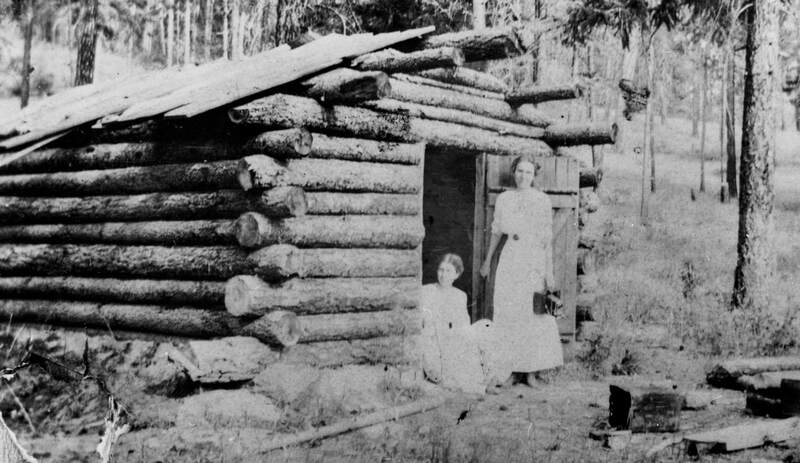 It was in such a tent house that, in 1907, Mrs. Anne Gillespie held a séance one evening and channeled the spirit of a Sioux Chief. The spirit spoke to the medium of his beautiful wife named 'Nar-ra-mat-tah'. John Robinson later wrote that he was so struck by the elegant name that he felt compelled to apply it to the village. The chief had also told Mrs. Gillespie that Naramata meant 'Smile of Manitou'. (Manitou is the Algonquin name for the Supreme Being that created the earth). Today, there is a park in Naramata named Manitou Park. Let us hope that Mrs. Gillespie's bond with the spirits lives on that we can all be watched over and bask in the 'Smile of Manitou' (from the book Smile of Manitou by Don Salting). 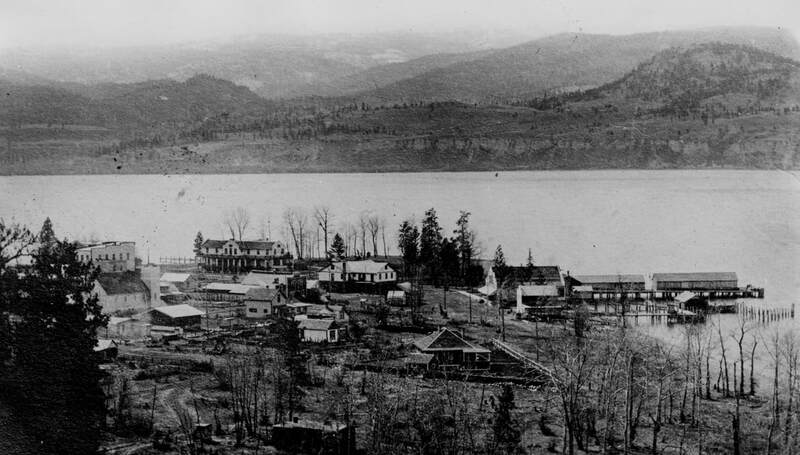 Another story about the origins of the name Naramata suggests that it may have as its genesis an indigenous Australian connection. Apparently, Mrs. Gillespie was first married to an Australian. 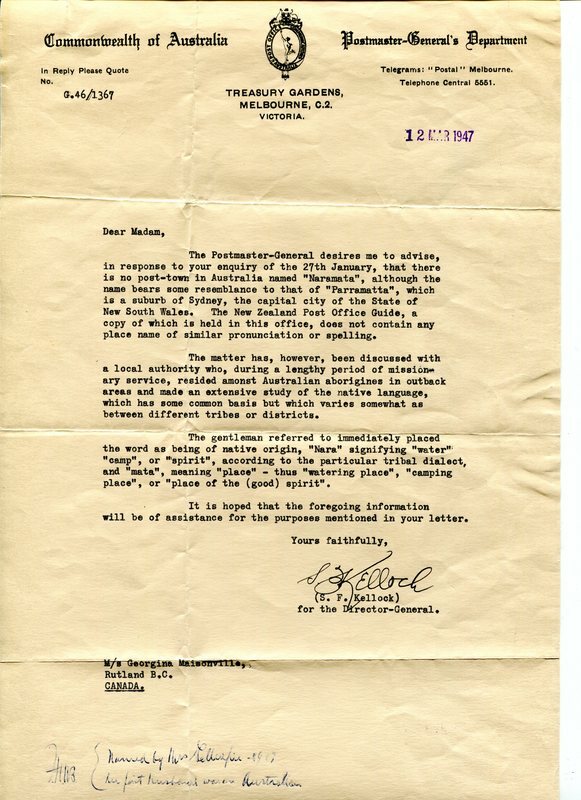 When the possibility that the name might be Australian was later followed up, it was reported that the sounds 'nara' and 'mata' were meaningful in certain dialects. Either way, Anne Gillespie features prominently and to her go our thanks for endowing the home of the bald eagle with its present name. 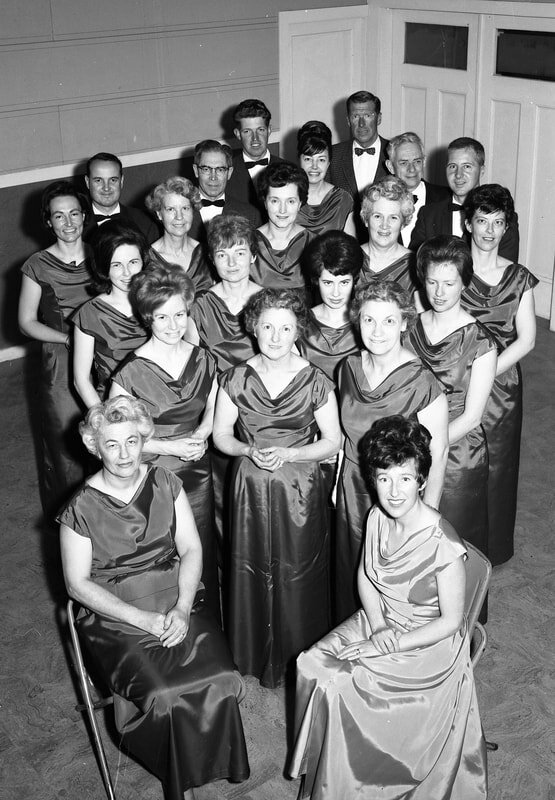 Naramata Choir - In 1962, Carol McGibney held the first choir practice in her living room. A dozen people had responded to a sign that Carol had nailed to a tree that read: "Wanted: Singers". The choir went on to great success in terms of acquiring new members, winning accolades and recording their music. In 1971, the choir sang for Queen Elizabeth II on the occasion of her visit to the province. 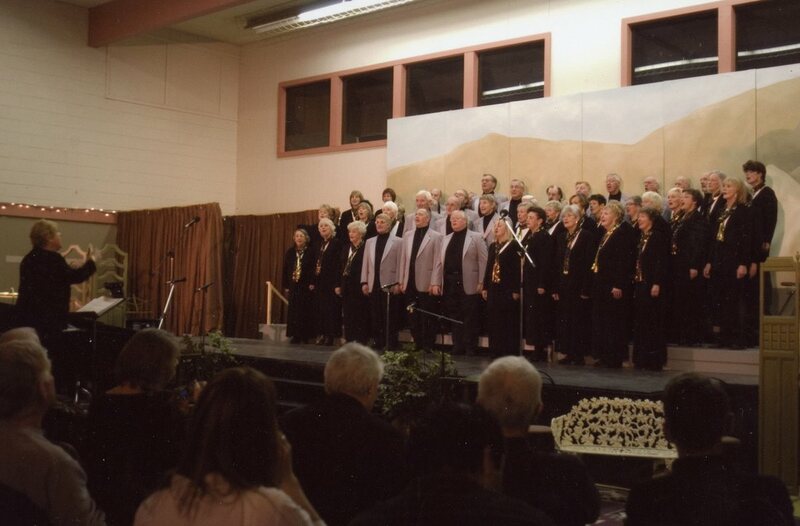 Although Carol McGibney has since retired, today the choir is still going strong and is greatly esteemed by the community.